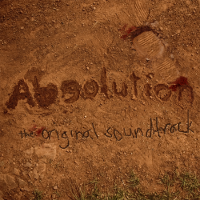 Absolution » Blog Archive » What is Absolution? We go behind the scenes with Micah McFarland and Peter Freeman, the directors of the new IPTV show Absolution. Here is the YouTube version in case your PC is unable to view the video above: Click here. More videos to come, stay tuned. This entry was posted on Tuesday, May 13th, 2008 at 9:51 pm by Nathan and is filed under Before The Spread. You can follow any responses to this entry through the RSS 2.0 feed. You can leave a response, or trackback from your own site. OMG MY NAME IS TOM MORROW WTF IS CQB OMG IM SO EXCITED FOR THIS RANDY SITE RLY!!!?!!?! Hey Tom! This is Nathan! CQB is an airsoft place in Manassas. Glad you are excited.